I love a good trip to the landfill. My husband? Not so much. 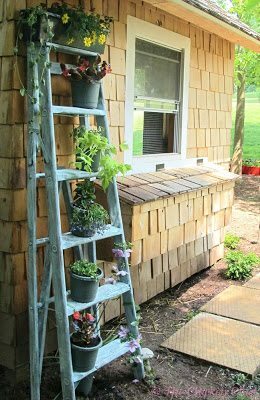 He views the landfill as strictly a drop-off destination while I see it as Upcycling Project Central. Admittedly, those projects tend to involve him to varying degrees, but I know perfectly well that he loves tool time. 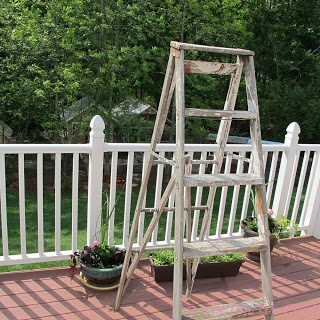 When I came home with this discarded, wooden ladder, he rolled his eyes, but there was no arguing the results or the price-tag for this shabby chic planter at $2.97 in paint. 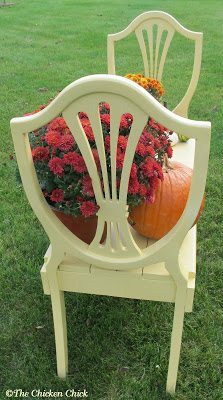 As with the ladder, my ideas tend to evolve after I have identified a diamond-in-the-rough, but with the advent of my Pinterest addiction this year, I now venture forth on Saturdays armed with plenty of ideas. 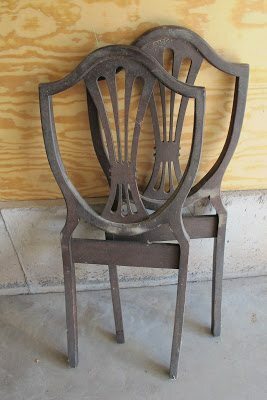 So when I stumbled upon four of these chair backs, I knew immediately what they would become. I didn’t think my luck could possibly get any better, but it did. 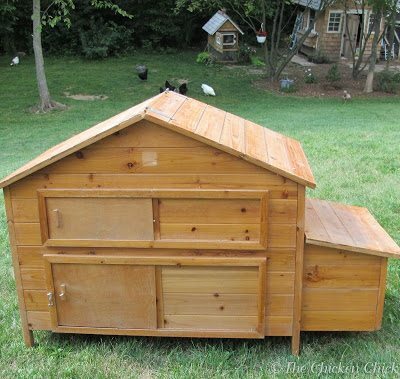 While driving home from the landfill I stumbled upon this mini chicken coop on the side of the road, free for the taking! 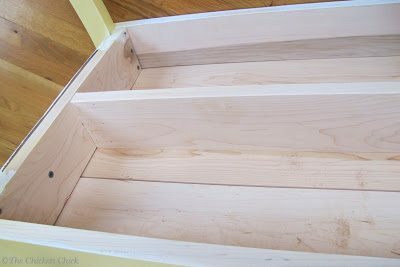 (more on the evolution of the mini coop another time) If there is something more exciting than finding really cool, free stuff, that can be turned into something beautiful and/or functional, I don’t know what it is. 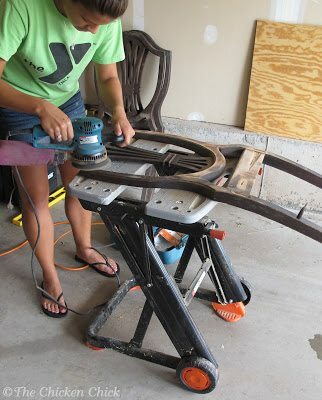 My step-daughter pitched in, sanding the finish off the chair backs. 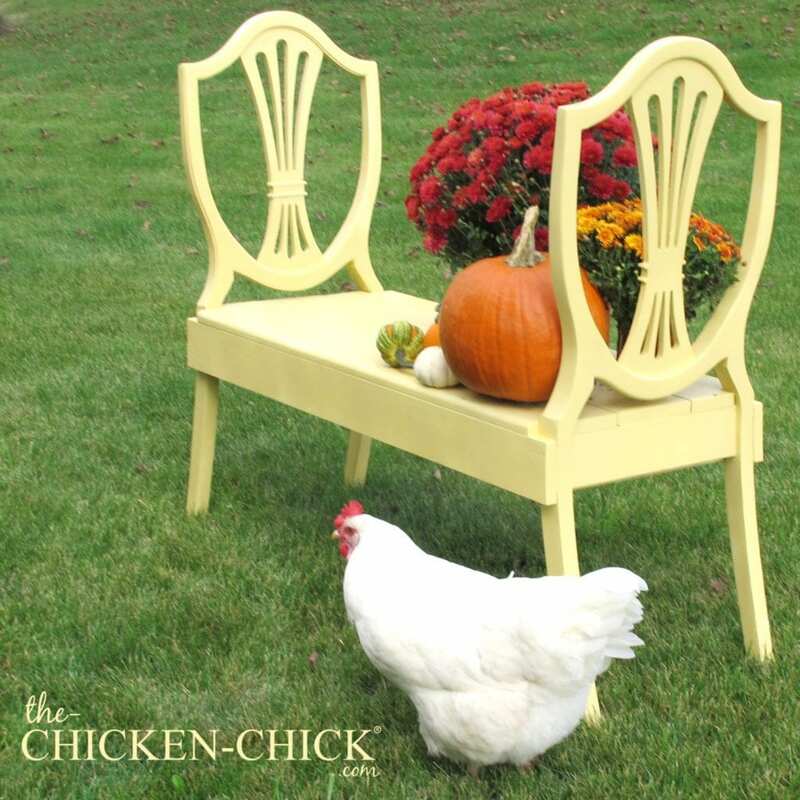 Gotta love a chick with power tools. 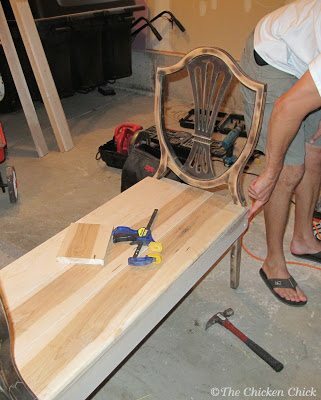 A little bit of scrap wood was turned into the bench seat. 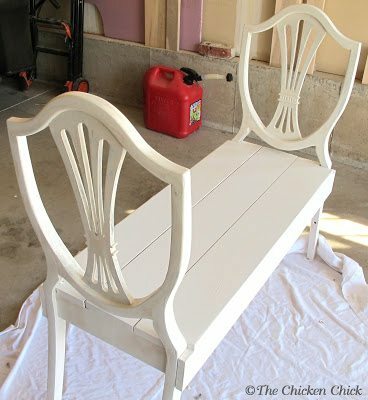 The bench received two coats of primer. View from underneath the seat. DIY Sugar Scrub with FREE Printable! 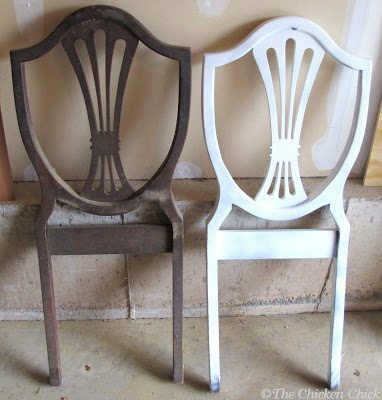 I found 4 metal and wood chair backs in back of the grocery store I worked at and then I found this post. Yea!!! Thank you Kathy, now I'll have two benches.